Munchtown has found a new home. 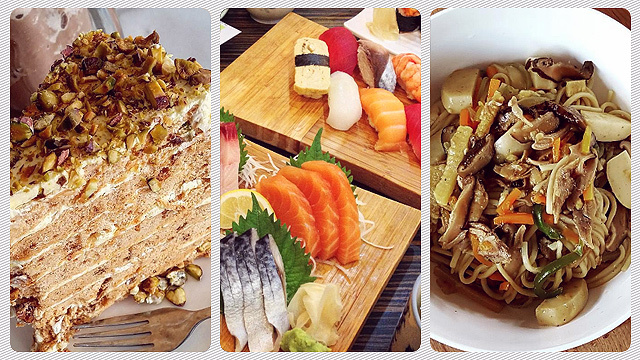 (SPOT.ph) You probably remember Munchtown from your movie nights at Promenade Greenhills. After closing down in 2015, the cinema food concept by Chef Robby Goco (of Cyma and Green Pastures fame) has found its new home at Uptown Place Mall in Uptown Bonifacio. Located on the third floor near the cinemas, the Munchtown kiosk (with seating available, too) offers moviegoers their signature double-smoked beef hotdogs and flavored fries. "We really want something quick that you can grab and just go. We also want to concentrate on the hotdogs, which is what we're really known for," shares Munchtown partner Donny Elvina. 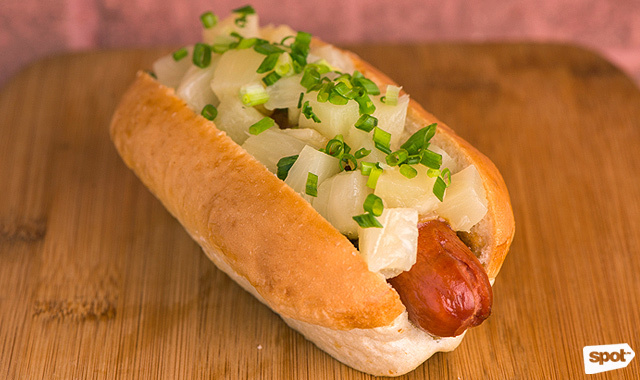 The all-natural beef hotdogs are made by Chef Robby himself and are smoked at their own smokery. Both classic and experimental flavors are on the menu. 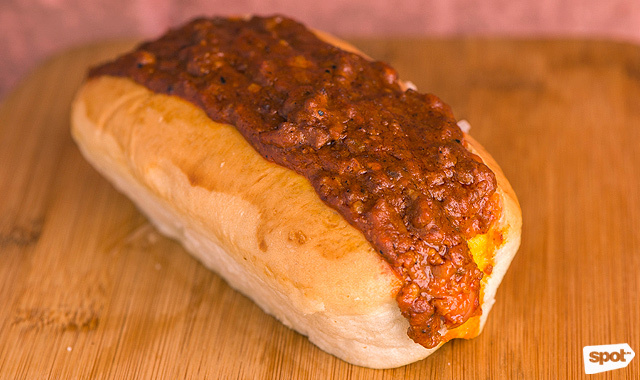 The Chili Dog (P140 for single/P250 for double) is still a bestseller, and it's easy to see why. The secret lies in the hefty topping of chili con carne that's full-on meaty and packing the right amount of heat. 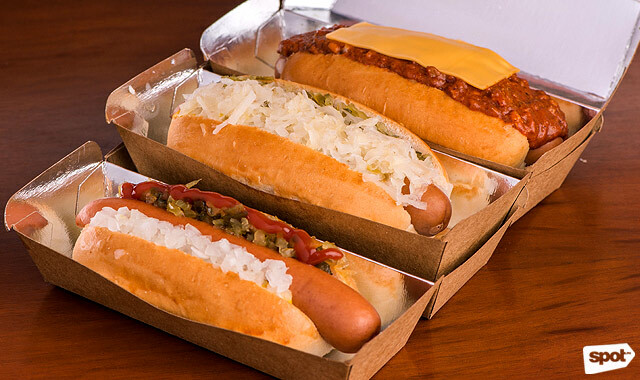 Upgrade it with cheddar cheese when you go for the Chili & Cheese Dog (P170 to P300). Enjoy a mix of smoky and sour hints when you bite into the New York Classic (P140 to P250), which is generously topped with mustard, white onions, pickles, and sauerkraut. 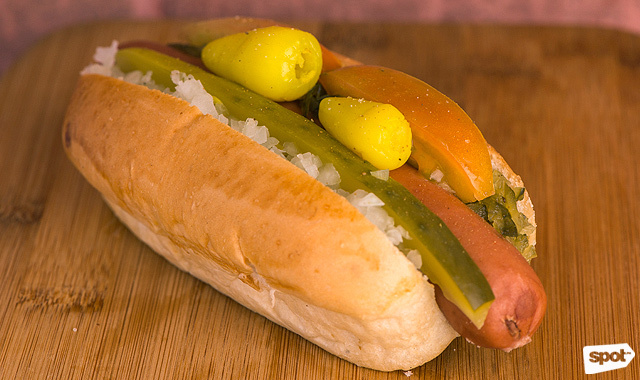 The Chicago Style hotdog (P140 to P250) competes in taste as well as it puts together a happy medley of pickle relish, pickle spear, onions, tomato, mustard, banana pepper, and celery salt. The bacon-wrapped items include the Surf Dog (P150 to P270), a Hawaiian-inspired creation that's sweet to the taste, thanks to the fresh pineapple bits and teriyaki sauce. 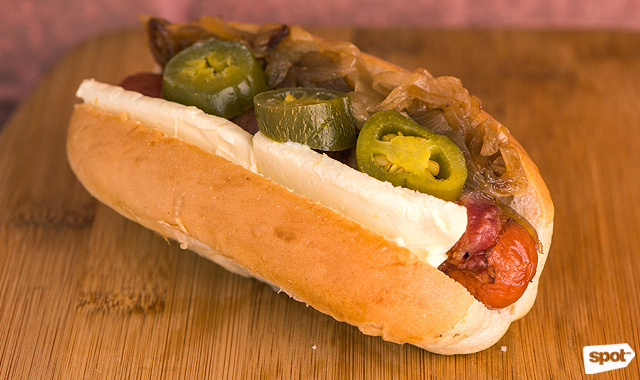 The Seattle Dog (P170 to P300) wows with its combination of cream cheese, caramelized onions, and jalapeño. 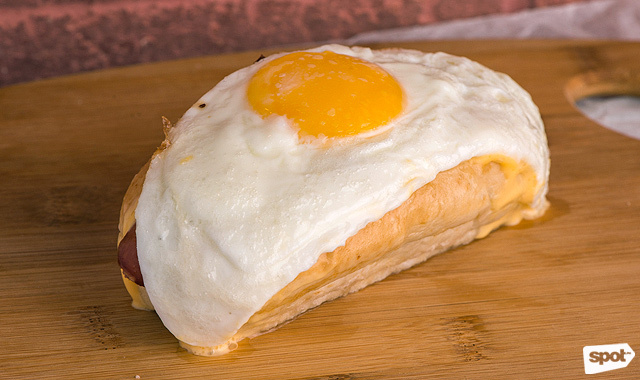 The Good Morning Dog (P150 to P270), on the other hand, can double as a hangover cure with its satiating mix of bacon, sunny side up egg, and cheese sauce. 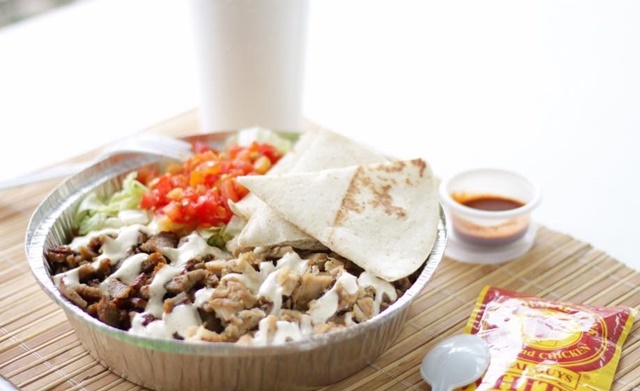 It might be messy to eat, but we say it's worth it. Ordering a 'double' means you get two of the same flavors for a discount. 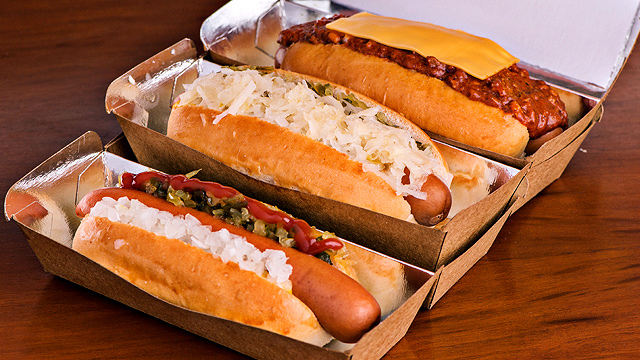 The classic hotdogs may also be wrapped in bacon for an additional P35. Flavored fries, made with Igorota Idaho potatoes sourced from Baguio, are a good addition to the hotdogs. 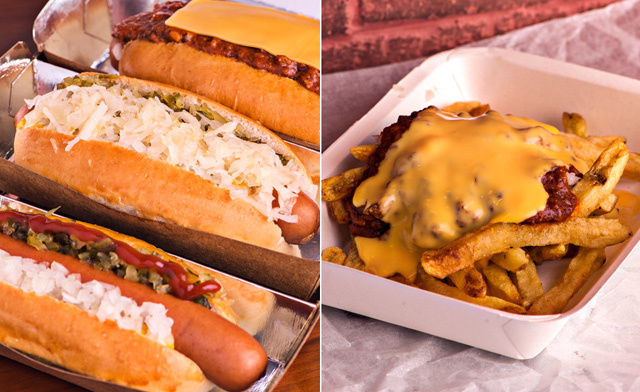 Among the standouts are the Chili & Cheese Fries (P140) and Garlic Parmesan (P130). 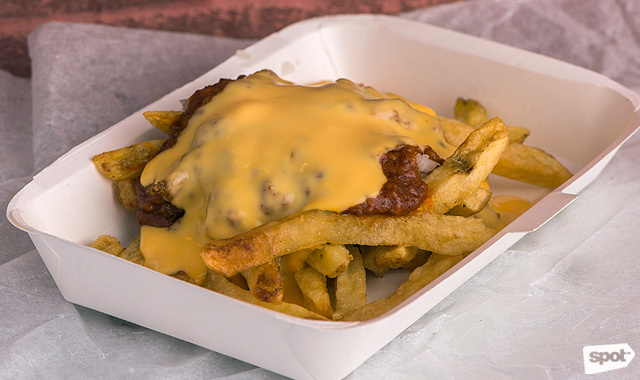 The former is a simple but winning formula of seasoned fries, chili con carne, and cheese sauce, while the latter is a pungent serving of seasoned fries drizzled with garlic mayo and sprinkled with Parmesan cheese. According to Donny, other items like burgers and burritos, which were previously offered in the Promenade branch, will eventually be made available in the new location.